Synology Photo Station Setup and Photo Backup can be a pretty cumbersome process for anyone not familiar with the quirks operating the Synology Diskstation Manager. We put together a series of Synology Photo Station Setup and Photo Backup steps so you don’t have to. 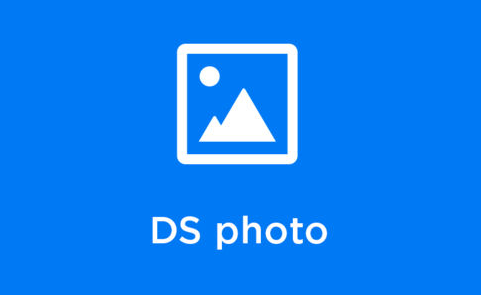 • Initiate Photo Station Service within Disk Station Manager. 2. Log into the accounts that need Photo Sharing Service. Please login into the personal user account and go to the far right corner of the screen > Option > Personal > Photo station and make sure that the personal photo station has been enabled. This allows the user to have it’s own photo station basically. 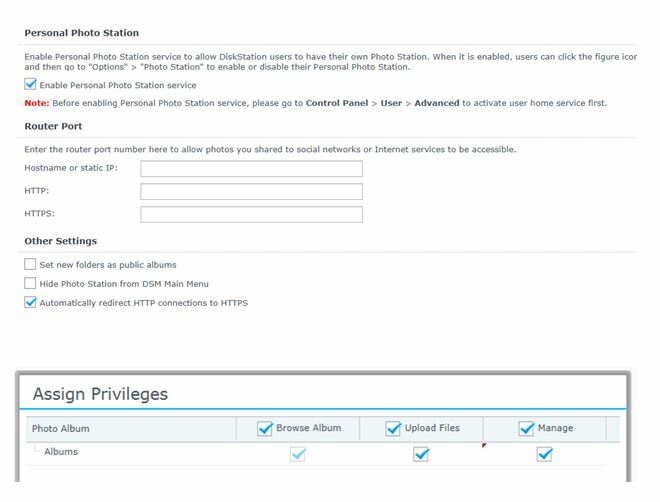 * Make sure you activate the user home service first before enable personal photo station service. Home Service creates Home Folders for each user account. Additional features in “PhotoStation” not “photostation – admin” that need to be enabled under the administrator DSM account are listed below. 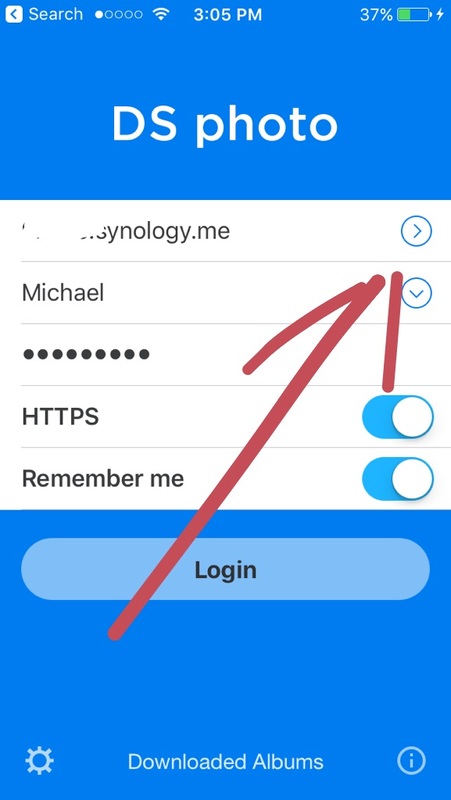 You must login with the user account not the admin account for viewing your personal photos in DS Photo that are backed up in the Synology. When you are on the login page, there will be a blue (see pic right below) arrow pointing up. On the right side of the username field. Tap this to expand another text field. Here, you can specify the personal PhotoStation account to log into. NOTE: I was reintroduced to the problem and I forgot the fix. my cached history (second pic) was pointed to some bad credentials. I selected the diskstation url/~Michael to authenticate correctly. 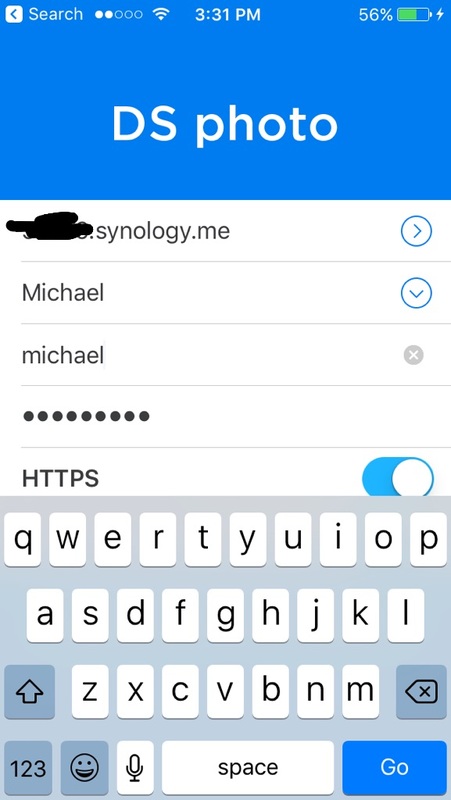 Basically, you are not only authenticating to the Synology DSM but the program DS Photo. It’s a little wonky but it works fine after that. Enable your WiFi on your phone. Backing up by default is done over WiFi not your cell phone data plan. 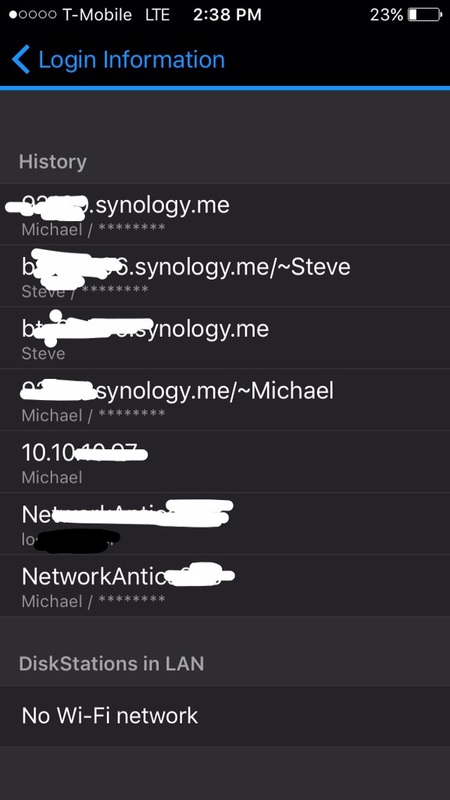 Make sure your Synology is setup for port forwarding. Otherwise, the rest of this guide won’t work.